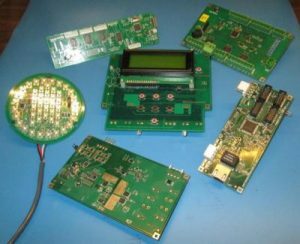 With many years of varied experience designing industrial-control electronics and working with many types of machinery, we may be able to help you with your projects. If you are interested in development of a new electronic product or tool, especially if it relates to machine retrofits, please get in touch. Use our contact form to let us know a bit about your technical needs or ideas.